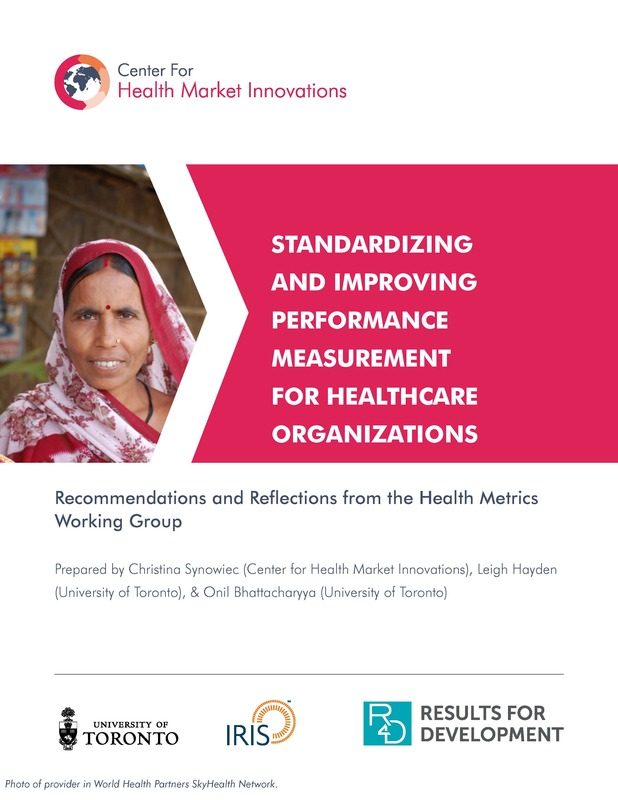 Healthcare organizations can select standardized metrics from a new catalog to demonstrate how well they deliver affordably priced, quality services to the poor. 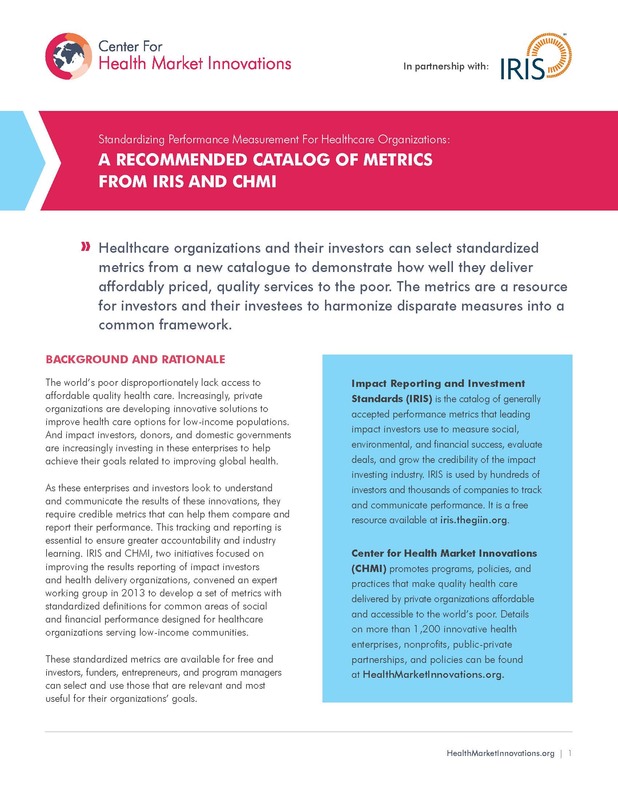 The metrics provide investors and investees with standardized definitions for common measures of performance. The growing number of organizations using market‐based approaches to address the health care needs of the poor in sustainable and scalable ways has generated great interest among governments and private investors. The Center for Health Market Innovations (CHMI) has developed a database of innovative programs that seek to provide accessible quality care in low and middle‐income countries. This database can help identify best practices for replication and expansion by governments, other organizations, and a range of potential investors.